While Dave was shopping at The Silver Snail he pulled a book from a shelf which revealed a secret chamber. It was dimly lit, but he could see there was a statue sitting on a rough stone pedestal. He could not help but grab it. 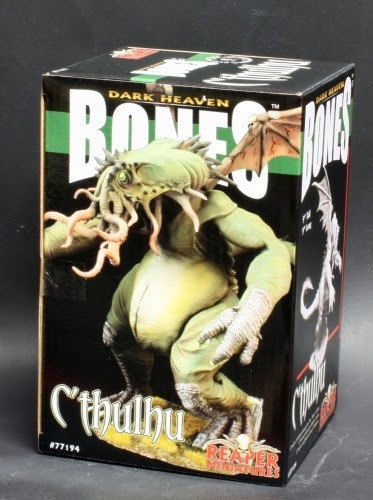 "Cthulhu..." The statue whispered in his mind. So of course he had to buy it! 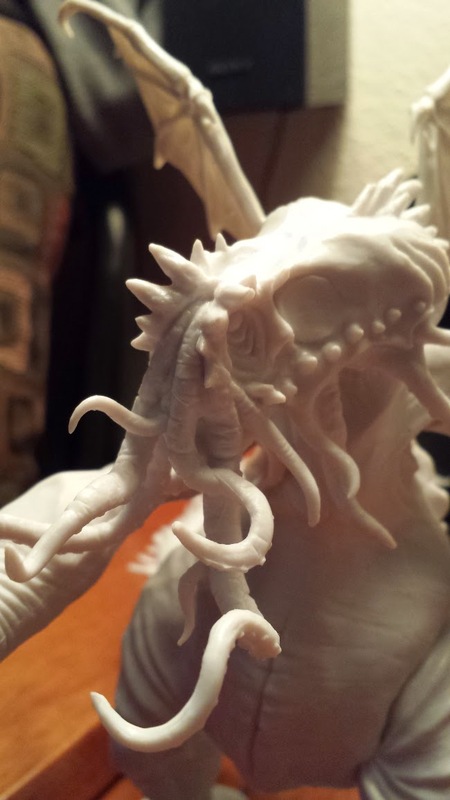 Reaper Miniature's Cthulhu mini is 9 inches tall! 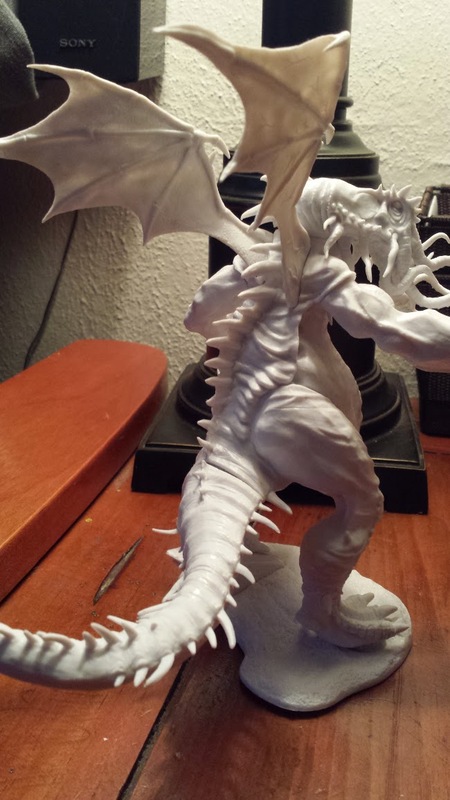 It is made out of white resin, comes with it's own base, and is highly detailed. 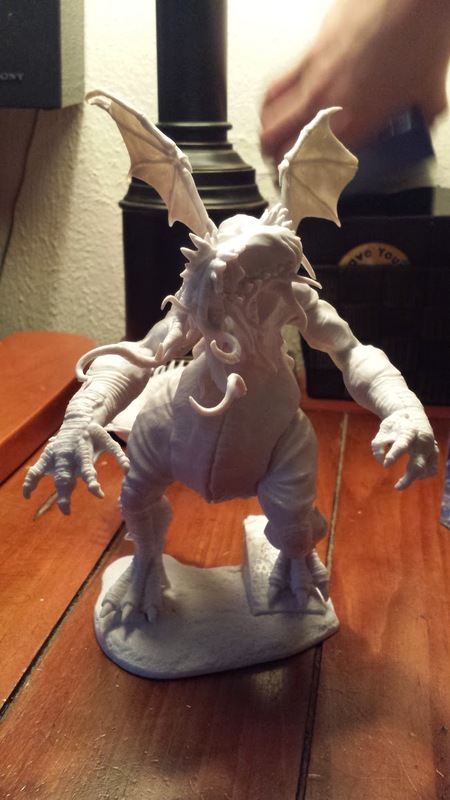 We will keep you all updated as Dave continues to paint this monstrosity, and of course give you coverage of his appearance in our next game of Chaosiums Call of Cthulhu.